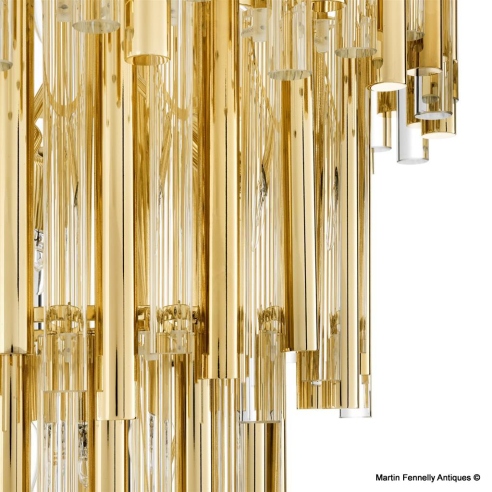 This beautiful Cascade of Crystal and Gilt Rods is in the 'Waterfall' design and the style is very much of Toni Zuccheri. 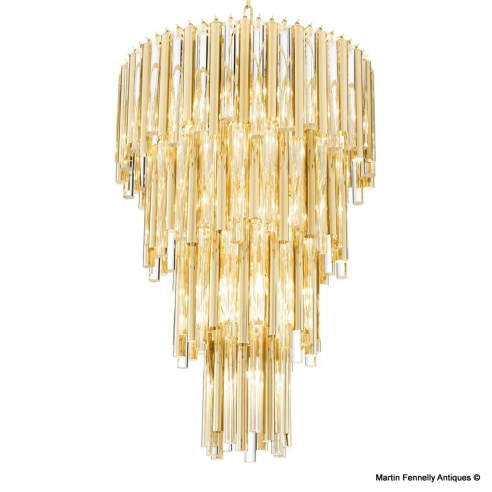 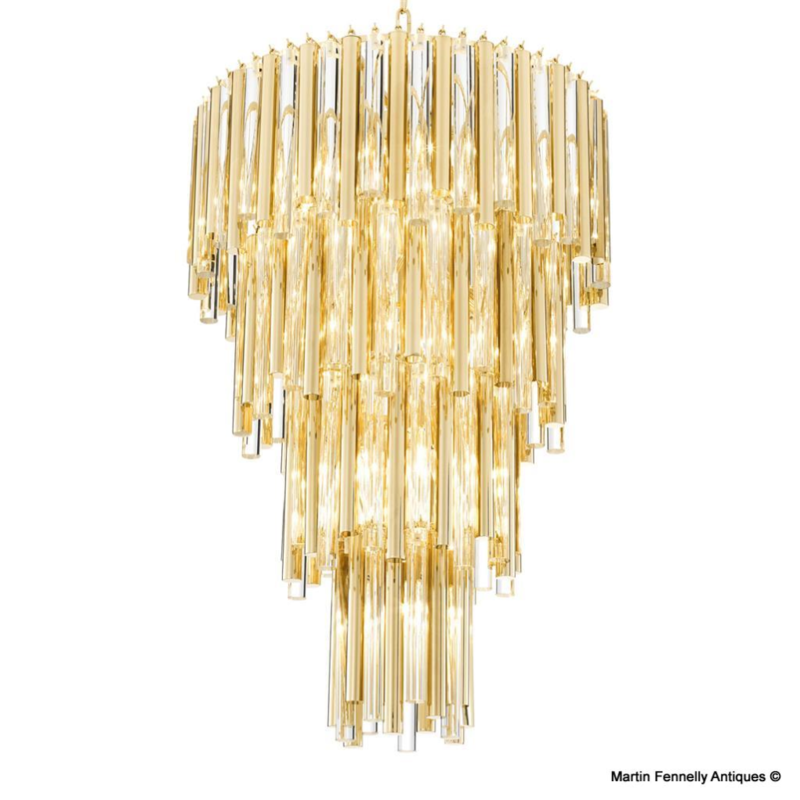 This piece crafted by mastercraftsmen exudes a terrific rainbow of light and with the design nod to Art Deco it really fits with the modern design taste. 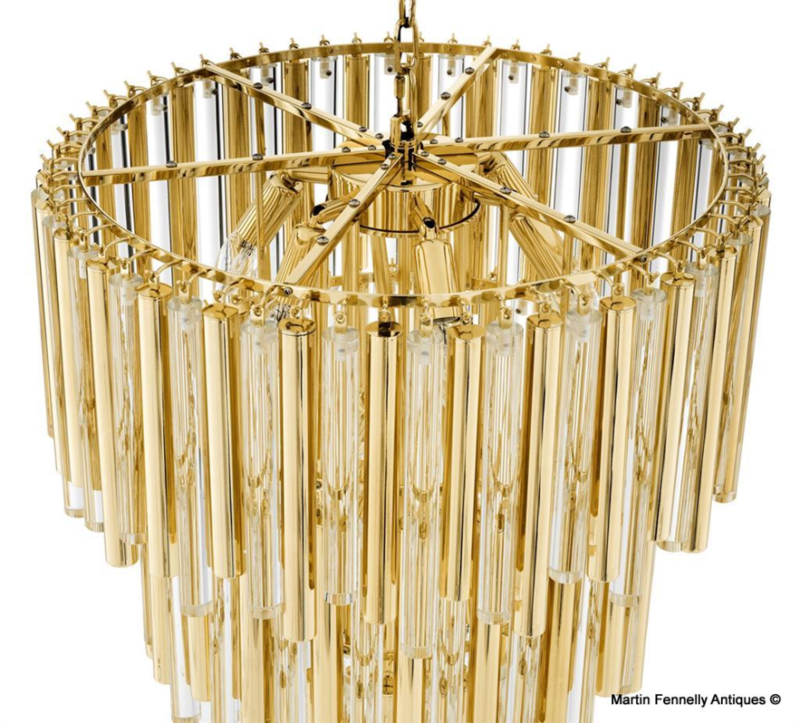 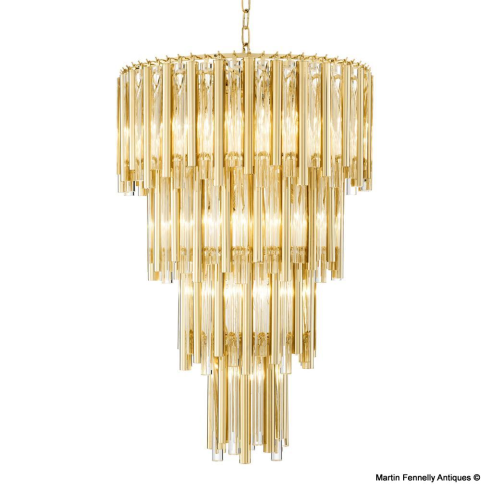 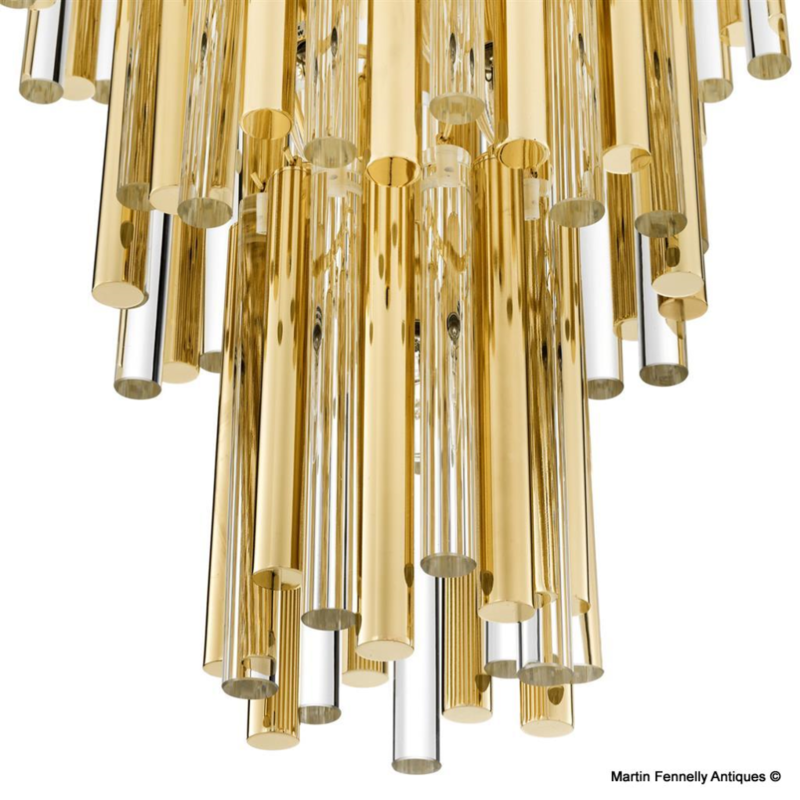 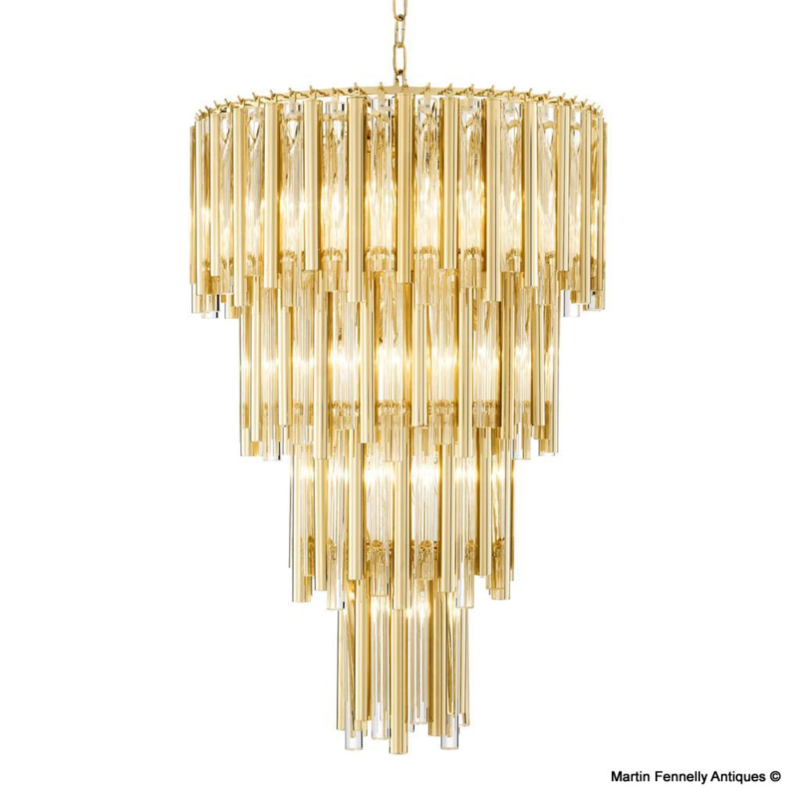 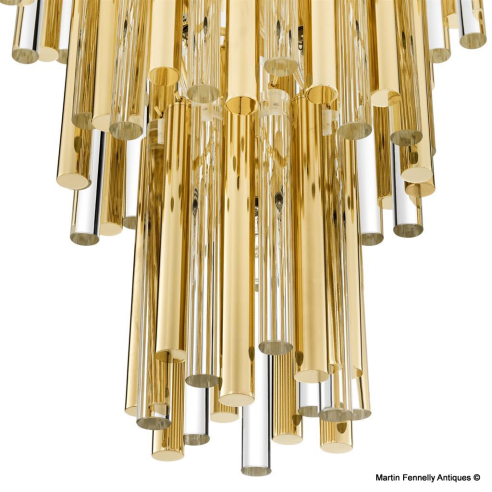 Add some Mid Century Glamour to you room with this spectacular chandelier. 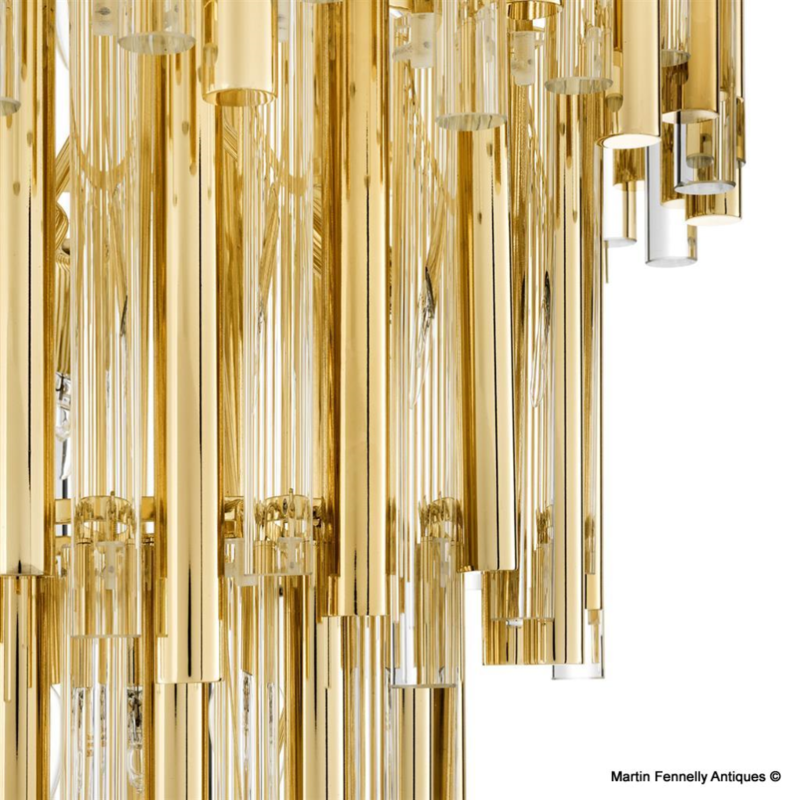 Wired, 1.5m of chain and condition is excellent.